It had been several years since my last venture to the land of South Beach. I have realized even bringing up the name South Beach can conjure up debate. I've found people either love it or they absolutely hate it. 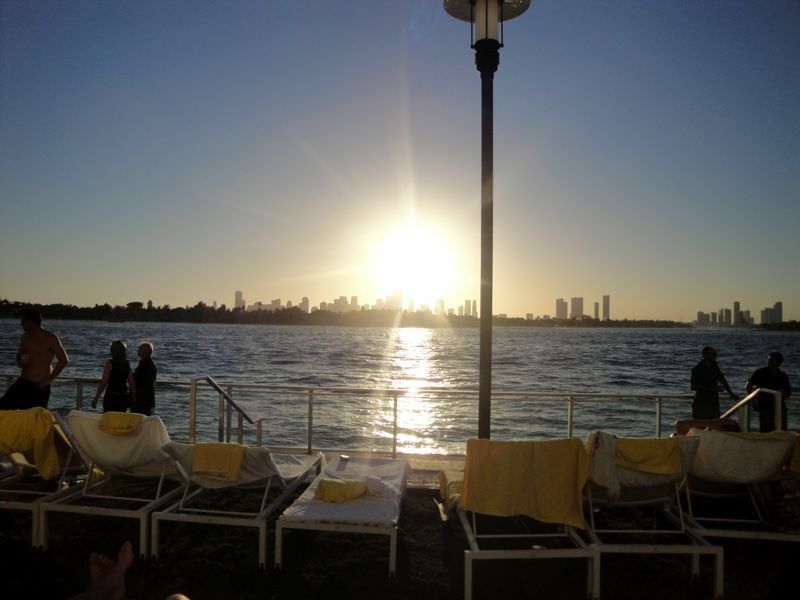 I happen to be someone who loves Miami. I enjoy the color and variety that Miami provides. You can see some of the best looking people from the globe enjoying the beach or having cocktails at the European-like outdoor cafes. The ubiquitous (my three-year-old nephew taught me that word) Ferraris and Lamborghinis available to admire as they endlessly cruise Ocean Drive, the insane nightlife and world-class DJs playing their mind-numbing house beats. I also can't help but laugh at the ridiculous. 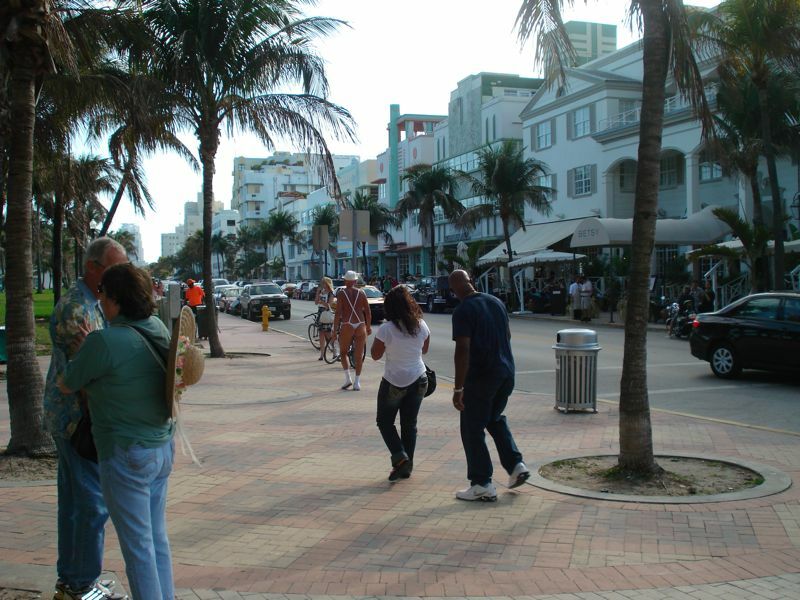 Miami attracts all walks of life; there is no shortage of old leathery men wearing nothing but a banana hammock and a smile. And don't forget the distinct Miami cologne -- I never smell it anywhere else, but as soon as I enter the invisible space/time continuum that is South Beach, I am overcome by the scent. It makes sense since market trends have proven most Latino men spend more money on fragrances and hair grooming products than the average male. Also, it is a guarantee that if you are a girl walking around in Miami, you will be offered a ride in some strange foreigner's exotic car. This happened to us the very day we arrived and even more interesting, one man offered the three of us a ride in his two-seater car. Can't blame him for trying I guess. My sisters and I planned to hold our annual girls trip in February. We couldn't remember the last time just the sisters spent some time together on a vacation. We zeroed in on Miami because there is no lack of fine dining and glamorous hotels in the area, and we wanted a somewhat short drive from Orlando. I had been checking out the property at the Mondrian for over a year now. Conceived by Dutch designer Marcel Wanders, he nicknamed the property "Sleeping Beauty's Castle", so this seemed like a perfect fit for our sisters' weekend. 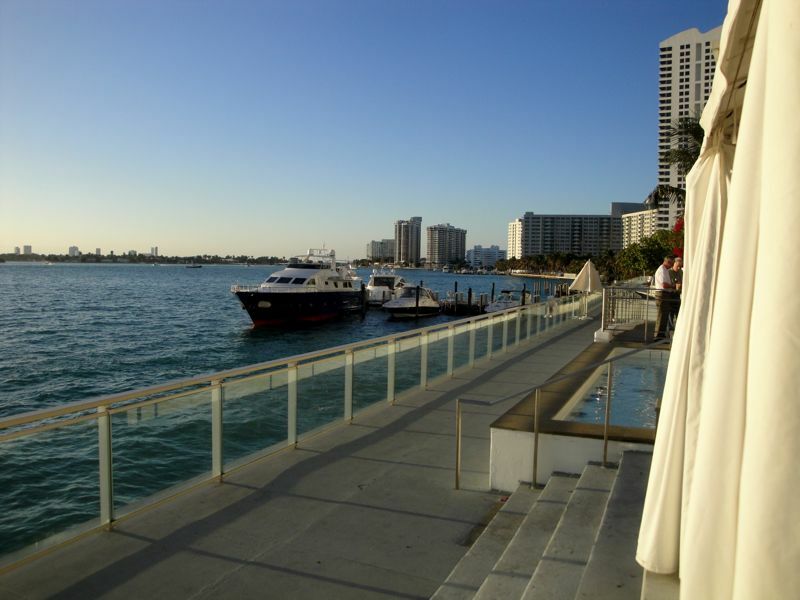 I have always been a fan of the Morgans Hotel Group with properties like the iconic Delano and The Shore Club, but we were not prepared to drop almost $1000 a night either. 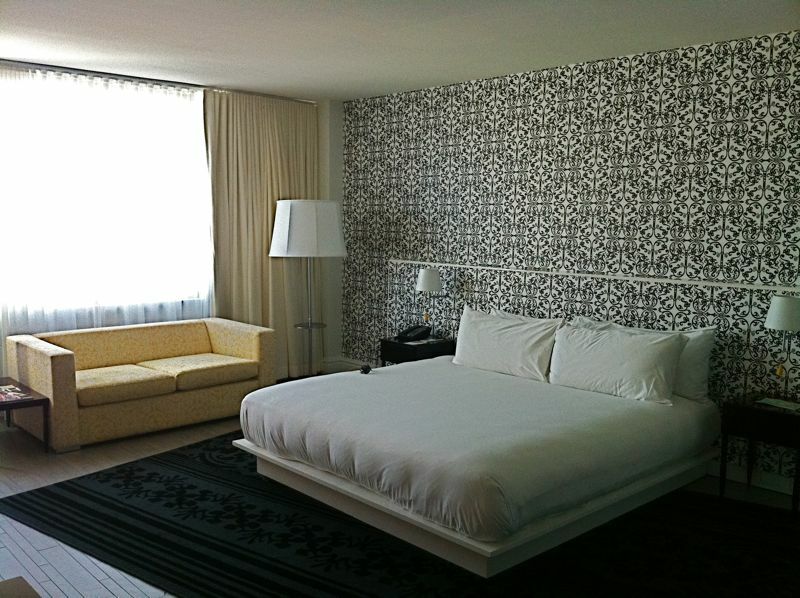 The Mondrian was running a special on their website (check the bottom of the homepage) and we were able to snag the room for $356 including tax. 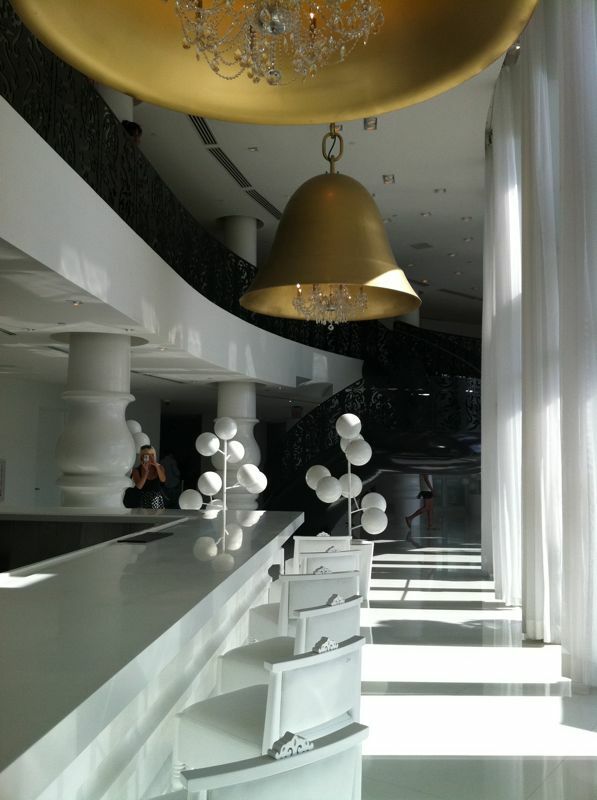 When we arrived at the Mondrian, the valet and bellhops were very hospitable. 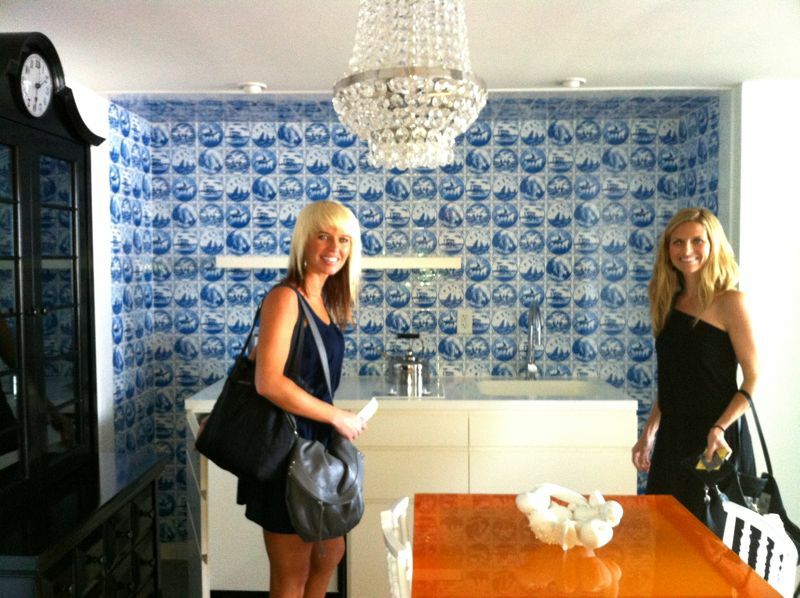 I most enjoyed the repetitive patterns throughout the space, such as the circular plate-like design behind the front desk. 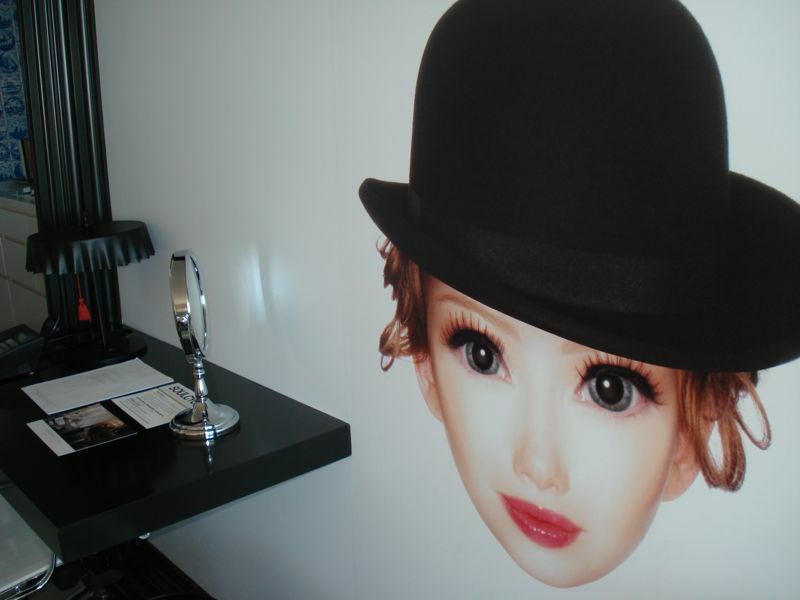 You will be amused by the use of the eccentric with the Mondrian's famous floating head figurine that appears not only in the lobby but will also be staring at you from a wall in your own room. 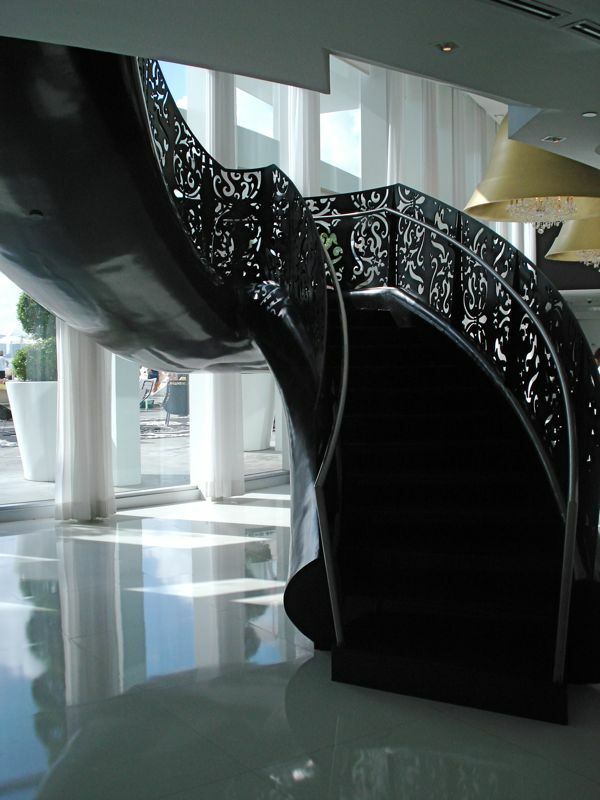 Central to the main lobby is a true masterpiece: an ebony colored floating staircase with art-nouveau details in the railing. I love the contrast of the dark with the stark-white interior with pops of gold. The use of scale with the over-sized lampshades, spindle carved columns and bell-shaped chandelier toppers throughout make you feel like Alice in a Miami wonderland. We were led to our room soon after check-in was complete. The view from both east or west is decent, considering the beach and bay are on either side. The rooms are quite spacious and we were surprised to see a full kitchenette complete with refrigerator, sink, kitchen table and microwave. The interior space uses white and accent lights of orange. I loved the placement of the diagonal floor rug along with the infamous floating head girl. The hallways and kitchen area use an old world nautical theme, which is a surprising but somehow welcomed combination with the modern bedroom. The bathroom is not overly large but the sink is interesting. Basically the countertop and sink bowl are one and the same. Imagine a flat counter top that slopes slightly left with the faucet and drain being on the lower end. Good in theory, but when I set my toiletry bag on the upper right side, it still managed to get wet. 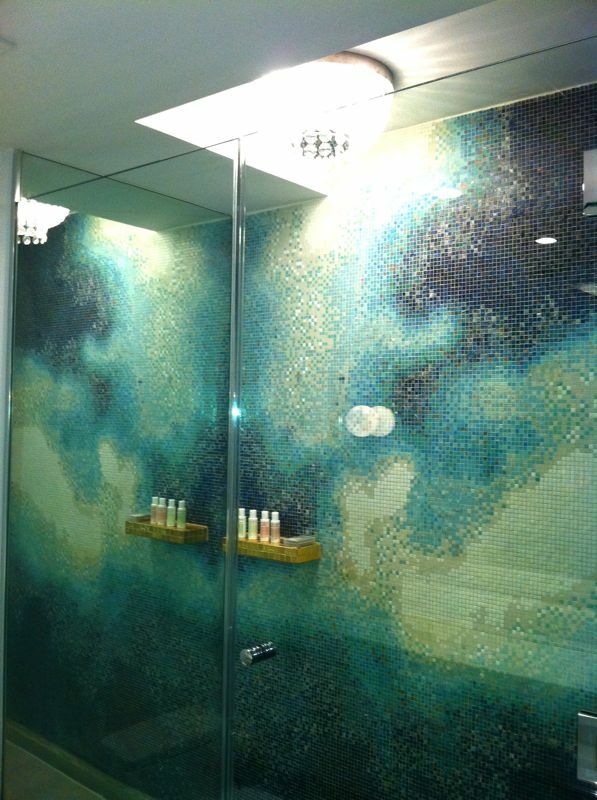 The shower, however made up in what the sink lacked with a powerful rain-like mist with excellent water pressure emerging from the center of a crystal chandelier. 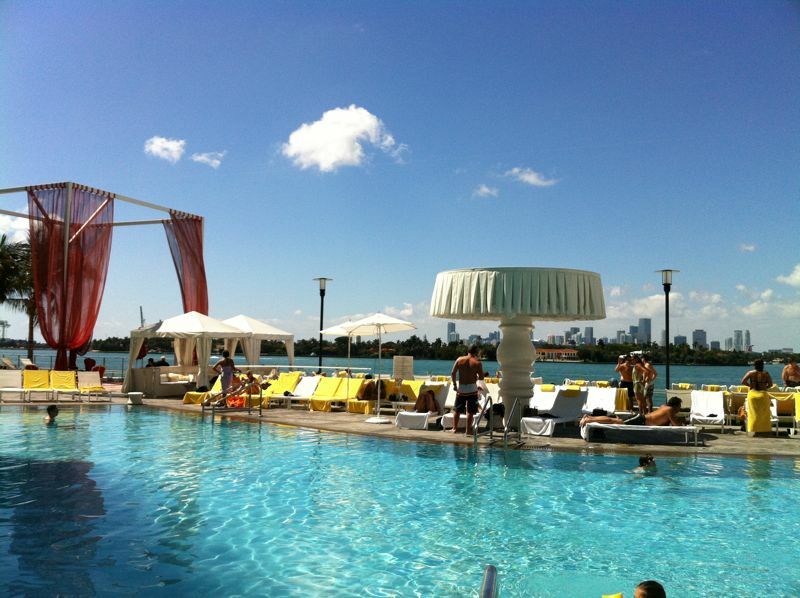 We made sure to spend our two days lounging poolside at the Mondrian. The perks of this western-facing oasis is that as the day goes on, the view just keeps getting better. The over-sized lampshade makes an appearance again shielding patrons from Miami's intense southern sun. White chairs in pretty rows are decorated with bright yellow towels and flowing red chiffon waves in the breeze from atop the decorative structures. For those with deep wallets, try the arched hedge covered VIP cabanas at the northern end of the pool with daybeds and flat screens. 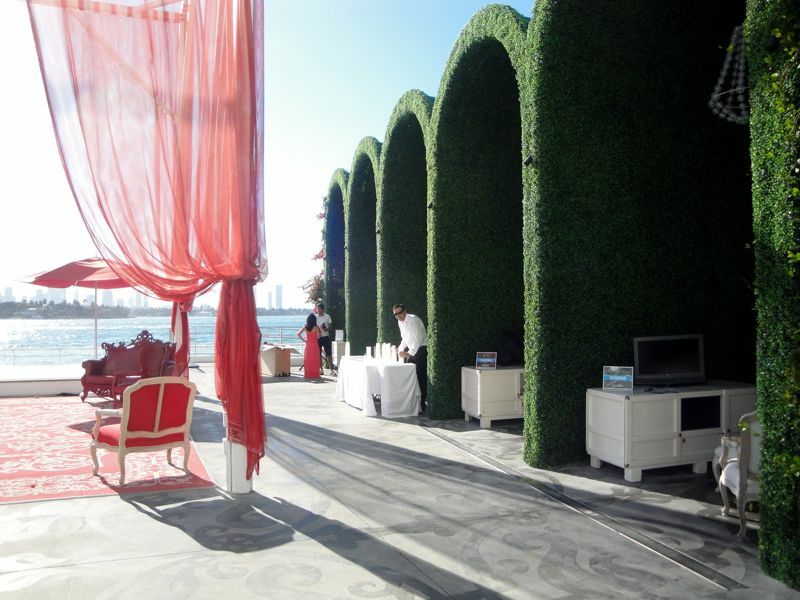 Directly in front of the VIP cabanas you can relax on deep red formal furniture or lounge on some plump throw pillows on the red and white outdoor rug. 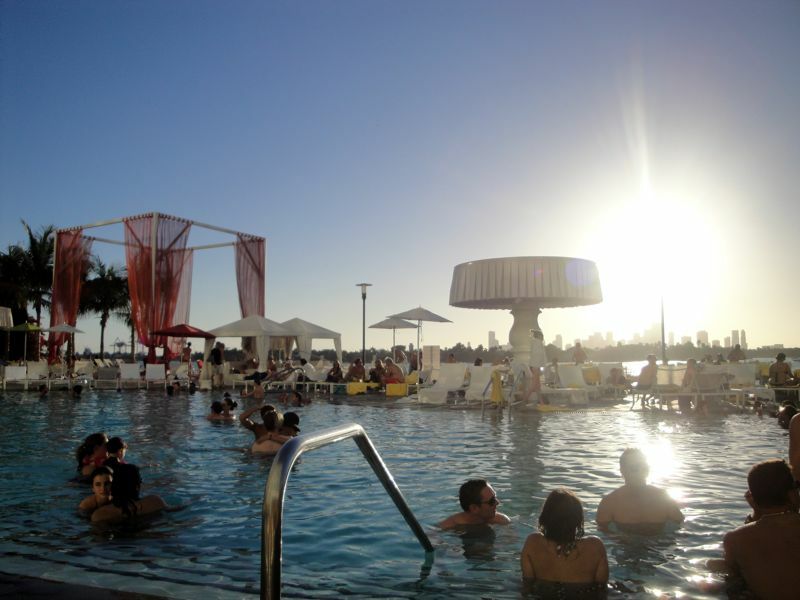 We had heard the Mondrian SoBe has quite the pool party every Sunday with a DJ spinning an upbeat soundtrack. We made sure to reserve our chairs with the concierge early morning and made it down there at 11 am after storing our luggage with the front desk. We kept waiting around for the beats to get louder than the quiet background music but it never did. After having some lunch poolside and chatting with some newfound friends from New York, we found out the party had been downgraded permanently due to a noise violation. Apparently some nearby residential neighbors didn't appreciate the DJ spinning loud dance tunes during their day of rest. Kind of strange for someone to move to the heart of South Beach and complain when someone has a party. I guess they didn't get the memo. Well it was a loss for us since we can't think of anything better than a bright sunny day and listening to great music that we don't normally get to hear back home. 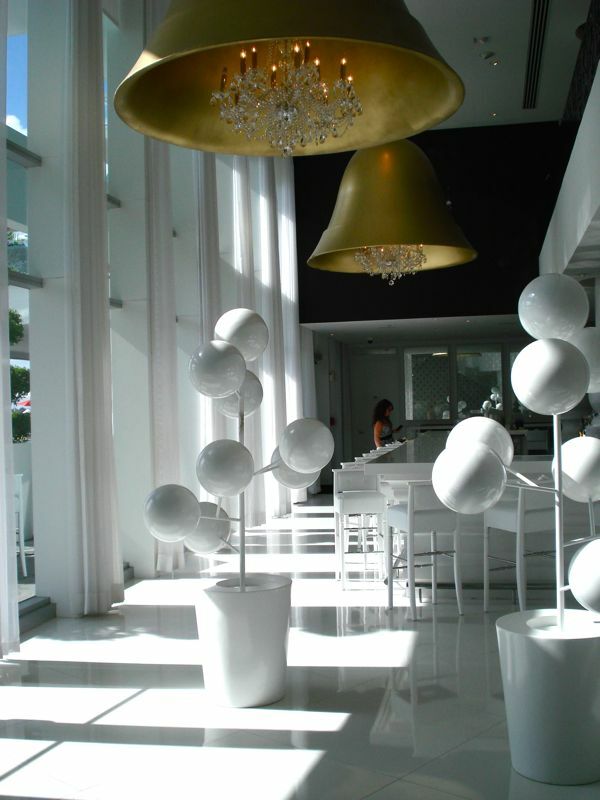 We stayed until around 3pm, then we bade farewell to the Mondrian and the colorful world of South Beach. Viewed 23691 times so far.